work towards your musical goals! Sign up as a teacher and keep record of your student’s music practice and track attendance. Sign up as a student and you can keep track of your daily and weekly music practice. 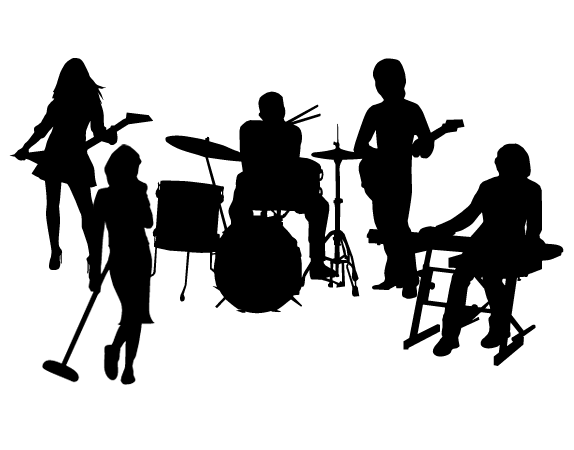 You can also add your teachers to review feedback on your weekly music lessons. congratulating your friends on their own musical practice. It's a practice journal, that talks to you. Practice It allows music students and teachers alike to keep record of all of their practices. It doesn't matter if you are learning 3 instruments, 10 pieces, different genres or doing technical work, Practice It is designed to allow for all of this and more. I'm a music teacher, how can Practice It help me? Let us know and we will get back to you! 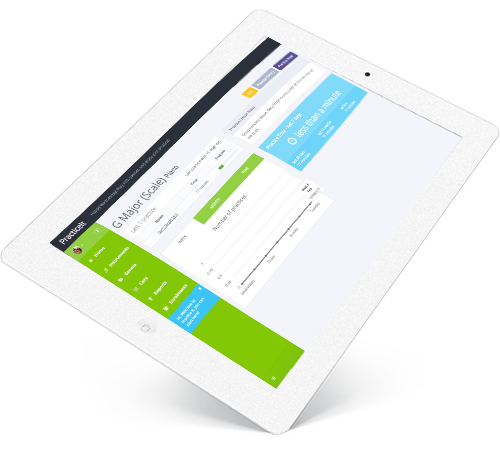 Contact billing@practiceit.com.au for pricing information and to request a demonstration. Whether you are practicing at home and have your phone, or with your music teacher using your tablet, you can use Practice It to track your practice and pick up from where you left off. Sometimes it helps if you can look at your music library and prepare for performances by sorting them into the genres that you like to perform. It's a simple feature, but one that can really help when working out what you know 100% and feel comfortable playing in public. Instruments are at the heart of your daily practice. Everything is organised in the app by the instruments that you are learning, which makes it easy to focus on what needs to be done. Practice It has a great set of features for both students and teachers. As you practice, a range of reports and graphs will begin appearing to help you visualize your practice routine. A built-in achievement system helps students to earn badges and share them with friends on social media to further reinforce and encourage good practice habits. Assign a teacher and get access to your lesson calendar to remind you of your next lesson as well as lesson notes from your last lesson each time you start your practice. Once selected by your student, you can begin to create lessons that will appear in the students calendar and also give feedback for each lesson. Your pieces are grouped by genres, lists and instruments so you can easily focus your practice on the areas you choose. We have exciting new features on the way such us printable reports and a practice timeline to visualise practice history. Practice It has a great set of features for both students and teachers. All pricing in Australian Dollars. to jump in and try Practice It today! for students preparing for exams or that learn more than one instrument. for actively performing musicians who have an extensive repertoire. Manage your student lessons and check their musical progress. Everyone starts with a Free Account and then you can upgrade/downgrade once signed in! $1 from every subscription, every month, goes towards buying instruments for music students that cannot afford them. Whether you are practicing at home and have your phone, or at a music lesson in school on your tablet, you can track your practice and pick up from where you left off. Ever had trouble staying motivated with your music practice? Set performance dates for your pieces and you will begin to get feedback and acheivements as you reach your goal. Begin today, play with passion!